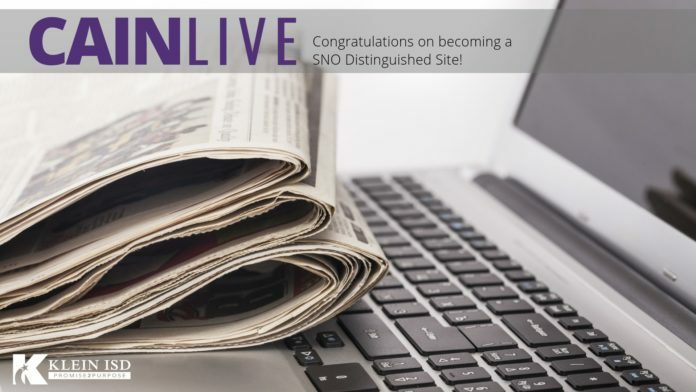 The Cain Live website was recently named a Student Newspaper Online (SNO) Distinguished Site. The website consists of student-curated content and design—photos, articles, and even a podcast. These Klein Cain pathway explorers’ creativity, innovation, and optimism have taken them to new heights in Hurricane journalism. This entire staff truly exhibits the Profile of a Learner. We know that their continued hard work reflects their character and will to achieve their goals when the odds are set against them. Read Cain Live Editor-in-Chief Enrique Paz’s article about their achievement below. Striving to be one of the best student publications in the nation was something that seemed near impossible for the Cain Live newspaper staff. After all, this was their first actual year with a functional program and a staff of more than two writers. However, they decided to set aside all odds and pursue success for their online newspaper. With hard work and dedication, they climbed up the leaderboard, surpassing hundreds of other schools across the country. With over 360 other school publications participating in Best of SNO‘s yearly rankings battle, Cain Live had a lot of competition. Currently, they hold the number nine spot on the leaderboard, and the staff knows they’ll keep moving up. “[The hardest challenge was] trying to cover so many topics in such a small amount of time,” reporter Tonia Bloomingberg said. The process has taken a lot of time and effort from every staffer. Bloomingberg is impressed with how much they’ve done over the last year. 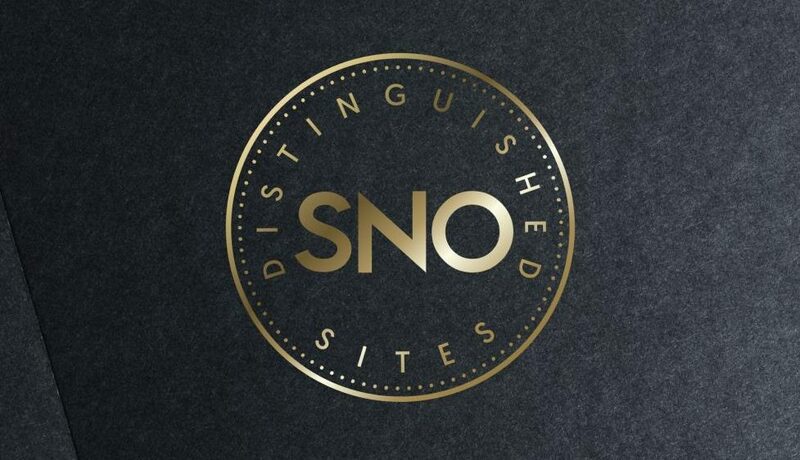 The official SNO Distinguished Sites symbol. The award is given to online newspapers that have gone above and beyond to meet their standards. 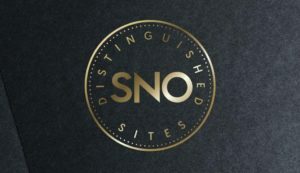 With six total badges required to be given the title of a “Distinguished Site,” they worked for months in order to earn each one. Some of the badges include Continuous Coverage, Writing Excellence, and Audience Engagement. For weeks, the staff functioned on strict deadlines. “I think the biggest challenge was trying to do a story or two every week and trying to get all the stories in on time,” reporter Douglas Pham said. Even when the staff was rejected a badge, they continued to revise and improve their articles. The journalism teacher and publications adviser, Jacob Elbert, has guided the different branches of the department in the right direction with his extensive background in mass media and graphic design. He’s helped build Hurricane Journalism together from the ground up. Elbert is proud of the achievements the staff has made and the work they’ve put in since he began guiding them.